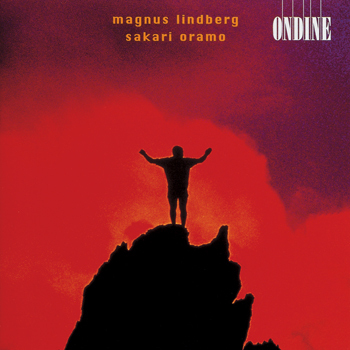 This Ondine release confirms (...) Magnus Lindberg as one of the most talented, exciting, and challenging young composers. (...) The performance (...) are extraordinary, committed, and expressive. This disc is a must-have for those interested in the direction of contemporary music. This is contemporary music at its most approachable without trying to mesmerize its audience into submission, and I urge anyone who feels alienated by the extremes of late-twentieth-century composition to try it. Lindberg's recent compositions are both challenging and accessible, and this is a superb disc. Magnus Lindberg is undoubtedly the world's best composer of his generation. This CD includes four orchestral chamber works by Magnus Lindberg, written between 1982 and 1996. Sakari Oramo conducts the Avanti! Chamber Orchestra.